Junior Engineer: Candidates who have completed Must possess Diploma/degree in Civil Engineering from a Govt. recognized institute with minimum 2 years’ experience of working in planning and monitoring of works and construction activities or equivalent from a recognized Institute for BECIL Recruitment 2018. Accountant: Candidates who have completed B.Com from a recognized University with 5 Years Experience or equivalent from a recognized Institute for BECIL Recruitment 2018. Stenographer: Candidates who have completed Bachelor’s degree from a Govt. recognized university/ institution and min. 2 years work experience in relevant field. Stenography: 80/40 speed in English Language or equivalent from a recognized Institute for BECIL Recruitment 2018. Data Entry Operator: Candidates who have completed Graduate with one year experience and 30 wpm typing speed in English or equivalent from a recognized Institute for BECIL Recruitment 2018. 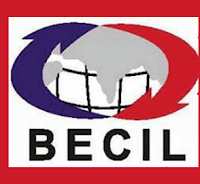 Consultant (Operations): Candidates who have completed MBA (Supply Chain Management/Logistic) with minimum one year experience or equivalent from a recognized Institute for BECIL Recruitment 2018. Multi Tasking Staff: Candidates who have completed Matriculation or equivalent pass from a recognized board or ITI pass in relevant subject or equivalent from a recognized Institute for BECIL Recruitment 2018. Skilled: Candidates who have completed Graduate with relevant experience and knowledge of computer or equivalent from a recognized Institute for BECIL Recruitment 2018. 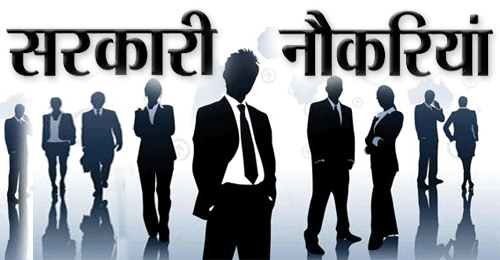 Semi-skilled: Candidates who have completed 10th,12th or equivalent from a recognized Institute for BECIL Recruitment 2018. Eligible & Interested candidates can download the Notification & Application form on the Official website page at www.becil.com BEL Recruitment 2018.